As their name suggests, Louisiana iris are native to the coastal swamps of the US state of Louisiana, particularly around New Orleans. The first known reference to Louisiana Irises is around 1812, when John James Audubon painted what he termed a “Louisiana flag” as the background to a Blue Yellow Back Warbler in the swamps of Louisiana. 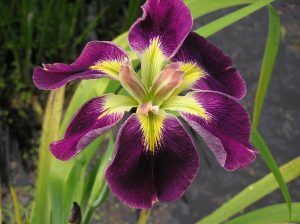 In the late 19th and early 20th centuries five varieties of Iris provided the basis of a wealth of hybridising. With native varieties most collected in the 1940s and 50s when they first became popular as garden plants. From the native stock there followed an explosion of hybridisation by a number of leading horticulturalists. 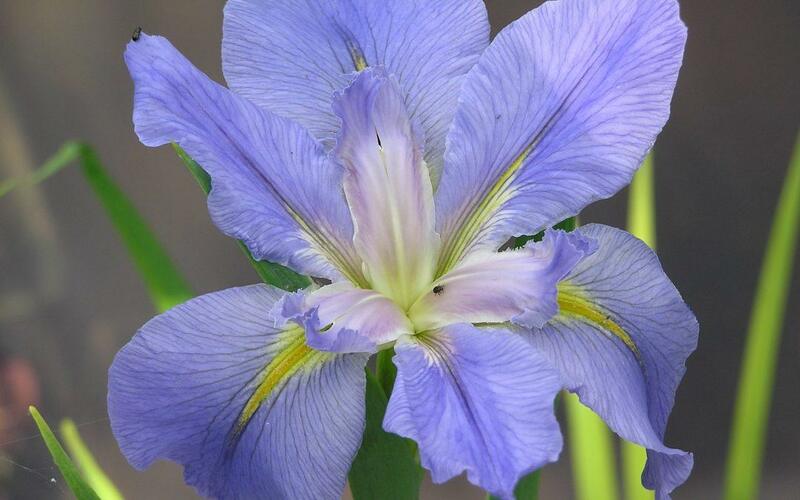 Now, according to the Society for Louisiana Irises handbook, they are to be found all over the gardening world. They are still surprisingly uncommon in Britain. Perhaps because of the misconception that they are too delicate to survive the British summers, let alone our cold winters. Any Louisiana iris is perfect for providing a continuation of colour well into the summer following on after our more common Iris Laevigata, Versicolor and Pseudacrous have finished flowering. They produce massive flowers that can reach up to 15cm across during mid to late June. While their evergreen foliage, growing up to 70cm tall, gives interest to a pond or bog garden throughout the year. 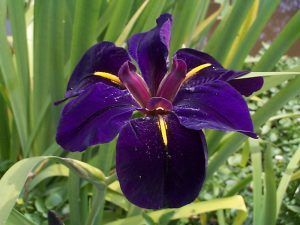 Around twenty years ago, Roger started a breeding programme with a small number of named and unnamed iris plants. Most of the resulting hybrids rarely flowered. Three, however, performed particularly well whatever the seasonal conditions. Further cross breeding resulted in a few plants that not only produced stunning flowers but thrive in our British climate and native conditions, even in the hardest of winters. 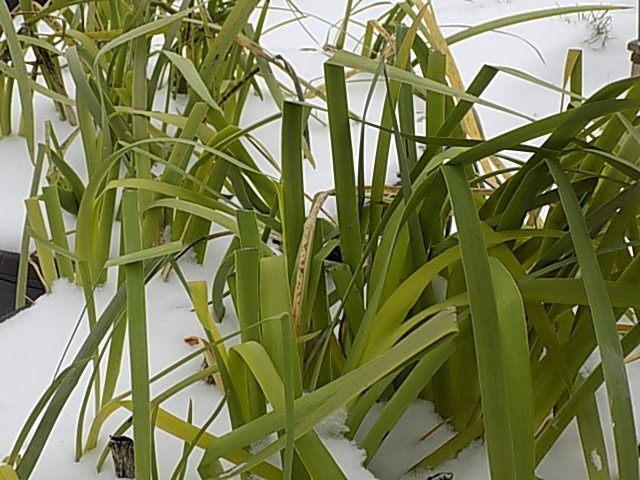 All our Merebrook Louisiana Iris are totally hardy, but not all varieties are as happy in cold weather. Louisiana irises come in such a wide range of colours, there is one for every situation and colour palate. They grow from a rhizome, a woody root about the thickness of your thumb. This increases in thickness and length as the plant matures. They are large, hungry plants with evergreen leaves. They need re-planting regularly to provide them with the nutrients needed to maintain their vigour. 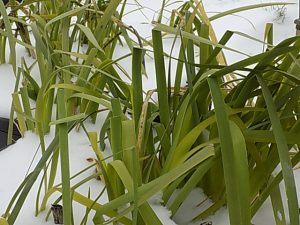 How do I plant Louisiana iris? As their history suggests, these plants are happy in boggy conditions. They can be grown in any persistently boggy area of the garden and on the banks of natural ponds and water courses. You can also grow them in your pond as marginal plants on a shelf where they have 0-5cms water covering the soil. In a garden pond we would always recommend that you plant each plant into a 10lt planting crate. They need room to grow and, of course, a solid foundation where they won’t be blown over by the wind. Ideally use a clay-based heavy garden loam the consistency of Plasticine or putty. If you can squeeze a handful of soil into a ball, throw it up and catch it without it breaking, it’s the right consistency. The soil should be free from chemicals and avoid light, sandy soil or chalky soil. If your own soil isn’t suitable we recommend that you use Westland Aquatic Compost which is available from most good garden centres. Fill the basket ½ full of soil, pressed well down to make it really firm. Position the plant so that the top of the rhyzome is about 1-2cms below the rim of the basket. Fill with soil, again really firmly pressed into place, so that the soil reaches to the base of the stem and top dress with 1-2cms washed pea gravel. It is also advisable to include a pinch of a slow release 6-10-10 fertiliser like Westland Growmore or Miracle Gro Slow Release, in the soil when planting. How do I keep my Louisiana Iris happy? Every 2-3 years, divide and re-plant your irises to prevent them becoming pot-bound and scraggy. If the leaves start to yellow or become paler green, it means the plant is beginning to starve. We would recommend dividing in late March/April if possible for best results. You can also divide in the Autumn although results can be variable. Rhizomes readily produce rooted side shoots which are easy to separate and grow on. But, if you are feeling adventurous, you can also harvest seeds. If you have two or more different parent plants you may be lucky enough to come up with another lovely hybrid!